Are you missing the mark by a mile despite using the most expensive club in the market? Are you sure you are using the right club? A common mistake people make to assume that all their golfing woes have an expensive solution. Buying a club that can work in cohesion with your limitations is the key to success on the golfing greens. Which Is The Best Golf Club For Me? It is natural to be deterred by the overwhelming choice of golf clubs. We understand your predicament and your reluctance to choose a club that will turn your fortunes around. 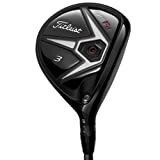 We have laboriously researched and reviewed all golf equipment and have shortlisted the below four products in the Best Fairway Woods Mid Handicappers section. These clubs have been tested for performance, ability, and looks; they are well liked by customers and approved by leading golfers. To know more, read on but first peek at the shortlisted models and their rating. Let’s begin with a club that gives the maximum distance and the most forgiveness. The M2 is affordable and can be used by players of all skill levels. It almost performs like a driver as it launches the ball higher at greater speed and with more spin. The M2 is so well designed that you can draw, hook, slice and do almost anything you want with it. It is very workable. Maximum forgiveness: Whether you get forgiveness for your mistakes in day-to-day life or not, you will certainly be rewarded with forgiveness with the M2. Not only novices but also advanced players benefit from forgiveness. Larger speed pockets: This model has three times more flexible speed pockets which allow even low face strikes to reach a greater distance. Geocoustic sole design: The engineers have used the ultra-light titanium to produce a two-tiered sole design to free more volume without increasing the CG. As a result, the head has a larger area. This not only contributes to lesser mishits but also ensures that the vibration is mitigated at impact. Greater Distance: To achieve a high launch with relative ease, the makers have usedTM REAX graphite shaft which is long and is well suited to hit the ball far. The length and weight of the shaft determine the clubhead speed which in turn contributes to the distance. 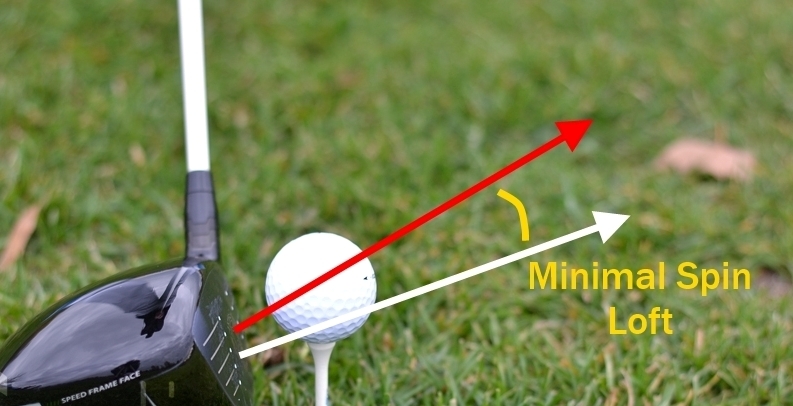 Low CG and High MOI: It is no secret that these two factors decide the trajectory of a ball. TaylorMade has managed to keep the CG low while not compromising on the MOI with the use of composite carbon crown. Playability: Tights or fairway woods, the rounded head will bail you out each time making this club ideal for high to mid handicappers. The point of contention: TaylorMade has used good acoustic engineering to produce the muted dull sound on contact; while some feel that it conveys power to them others are not happy with the sound. They find the sound a letdown in an otherwise promising product. Lack of adjustability: Probably for a beginner adjustability is not advisable because it will derail them. But those well versed with the correct usage of a golf club find this lack significant. It is a well-known fact that readjusting the face, lie angle, and loft to suit your needs will enhance your performance; but M2 is one hard nut to crack - you can’t even drive a nail into it. The M2 is suited for those who like the speed of drivers but the forgiveness of fairway woods. 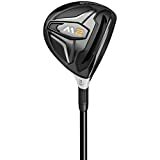 This TaylorMade probably is one of the best fairway woods for the mid-handicappers because it is fast, sends the ball very far and is most forgiving wherever you hit. Hence, whether you like the sound or not you will appreciate the distance the ball covers. Thrilling speed, unobtrusive and low spin, a distance that awes and forgiveness that placates the frustrated warrior are the hallmarks of the 915 F3. It is an all-rounder. Using technology like active recoil channel,ultra-thin face, surefit tour hosel, low CG and high MOI you are looking at one of the most forgiving clubs in the game. Greater distance: The use of the active recoil channel reduces the rotational energy of the golf ball causing the balls to spin less while producing more speed. So, what happens is that there is a large deep slot that runs across the entire face of the club and that is why it reduces the spin while increasing the launch angle. It is best suited for those who crave that extra mile. Rewarding off center hits: What more can you ask a club which makes sure that even mishits retain speed. The Radial Speed Face feature makes the perimeter especially the heel and toes thin while keeping the center thick. This design is what forgives the mishits without compromising on the pace. Enhanced forgiveness: Titleist used titanium to craft their clubs, making the body lighter and the face ultra-thin- almost .5mm. They engineered a tapered overall placing the weight towards the back of the head.This increased the moment of inertia while lowering the CG. A low CG will ensure that the ball travels to the green well under the par making it more forgiving. Adjustability: You can use 16 different variations of loft and lie to deliver that perfect shot. It is crucial that you maintain the perfect lie angle for greater accuracy. If you are not well versed with changing lie don't do it; seek professional help because the wrong lie increases the dispersion and not the distance. Greater playability: You can successfully use this club to bail you out of trouble in the toughest of lies because of the steep angle created by the tall face. The small pear shaped size makes the clubhead more workable and versatile. Forgiveness is not complete: Despite cutting edge technology the playability is limited if you are a novice or a less skilled player.It requires a certain amount of skill to use a small and compact head for strikes because of the reduced sweet spot. In fact, it can be intimidating for a high handicapper. It is best suited for those who like the traditional look, sound, and feel. It is an intriguing combination of long distance, workability, and forgiveness. Good hitters of the ball and mid handicappers who want to improve their accuracy and consistency should check the F3 but if you want more forgiveness then read on. Movable weights, adjustable lofts coupled with enviable distance, the Cobra King F6 + is not only suitable for the mid-handicappers but also for the high handicappers. It is so easy that all levels can be comfortable while playing with it. The highlight of this lightweight club is the versatile center of gravity which can be adjusted each time to suit your need. Using high-end composite carbon for the head, a lot of weight is saved for better use. The club has the required forgiveness and achieves sufficient distance to appeal to one and all. Ultimate forgiveness: Nowadays a lot of the top manufacturers are using multi-materials with Carbon fiber crown to create low CG which in turn will lead to more forgiveness and greater distance. You must be aware that when the CG moves forward it decreases spin and loft and the reverse happens when it moves backward. In Cobra King F6+ there are five different CG settings with an 18-gram sliding weight on the carbon trac. By adjusting its position, you can manipulate the distance and the launch you wish to achieve. Greater accuracy: Often in the quest for forgiveness, accuracy is compromised. We only look for distance and not proximity to the target. But Cobra King F6+ begs to differ. The Sole is so designed that no matter what loft angle you use your club face will always be square and flush.No wonder all drills and tutors focus on aligning the club square before anything else. Playability: The adjustable hosel allows players to pretty much define their game. It gives you the flexibility to shape your shots according to the need of the hour. You can determine the direction and the flight of the ball. Poor sound: If you are looking for the smacking sound then you will be disappointed because it is not the best in the game. The sound is hollow because of the Carbon fiber Crown and the carbon trac used to reduce the CG. Only when the weight is placed in the front it is more solid. Distance: If you are looking for distance then look beyond this Cobra because this is not built to produce the distance that other fairway woods produce. Pricey: It is one of the priciest models in fairway woods for mid handicappers. If you want a multipurpose club then look at the Cobra King F6+ driver which offers you 40 options – five CG options in combination 8 loft settings. Furthermore, the larger sweet spot thanks to the forged titanium face, increased ball speed and longer distance all work for this incredible club.A versatile club that can be used by all levels of players irrespective of their skill. The club has the required forgiveness and achieves sufficient distance to appeal to one and all. If you have graduated from the beginner to the intermediate and advanced level, so should your club; the Callaway is aimed at the more skilled players. Here is a club that will spin and twirl at your command and not as it pleases. And that is not all, it will go a long long way when struck right. But if you are new stay away from this 816. Adjustability: Fine tuning is the key to success in a game based on precision. The opti-fit hosel technology allows a player to change the lie, the loft and the CG making it highly advantageous for the seasoned player. They not only improve accuracy but also speed and launch. Greater speed: The R MOTO technology has been used very intelligently in this club to make it a useful tool for the advanced players.The clubface is thin and has an open angle which leads to faster speeds when the ball meets the head. This thinness also plays a role in forgiveness as it provides greater strike area and has a better moment of inertia. As a result, the mishits too are not too bad and not too far from the target. Changeable center of gravity: As you know the CG affects the height of the shot; the lower and farther from the face the CG is placed the higher and greater distance it travels. To capitalize on this theory the makers have introduced a new technology called gravity core which consists of a dual design chamber in the sole. 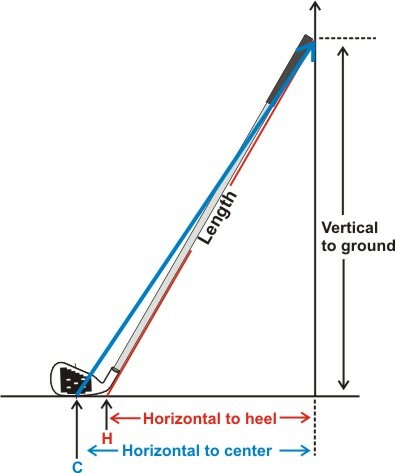 This technology allows the weight to be moved either to the heel or the toe of the club. As a result, the CG is changed and this will affect the trajectory of the shot but also the spin. Adjustability: Yes, this boon can become a bane too if in the wrong hands. Without proper knowledge, if you tinker with the loft and the lie you will spoil your game. In addition to that, you need to seek help each time to align the club properly to suit your style of play. Not suitable for all level players: It is a shame that such a promising club is not suitable for all players. It is ideal for players who want to control their game, have more maneuverability and lesser spin. The several adjustable features like the hosel, the weight, and the incredible feel after each shot help strong swingers to better their distance and accuracy. It is suited for the advanced and low handicappers and those on the lower end of the mid handicapper's range. Finally, it is time to narrow down the choice for the one product that will enrich your game. We have seen how technology has revolutionized the Best Fairways Woods For Mid Handicappers. The clever use of weights in the club head to reduce the spin but not compromising the distance is one feature that stands out in all models. With forgiveness, distance and loft at par, finalizing one item is not easy. As you can see from above, the competition was close but the two models that stand apart are the T﻿﻿aylorMad﻿﻿e and the Cobra King F6+. 1. Price: The TaylorMade is affordable at a little but the Cobra is one pricey beast that will adorn your kit should you decide to buy it. 2. Forgiveness: All levels players require forgiveness unless you are Rory McIlroy or Tiger Woods. Therefore, the balance always tilts in favor of a club that offers the maximum forgiveness without compromising the distance. In this aspect, the Cobra has an edge. 3. Adjustability: The glaring lack of adjustability in TaylorMade works against it, especially with mid handicappers. You want a club that will give you the flexibility to experiment with loft and lie to improve your game. But when you look at the Cobra, you know you are looking at a complete picture – forgiveness, distance, adjustability and high loft angle – everything that mid handicappers need to move up the ladder. The most expensive club will not make you Tiger Woods. So, access your strengths and weakness. Your swing speed will determine the distance your ball will travel. The speed depends on the swing, loft angle of the club and the length of the club. Steel head: Commonly used because it is inexpensive and more forgiving in nature. Titanium head: Though lightweight and used more frequently now because it allows for lowering and pushing the center of gravity further back to produce a high degree of forgiveness. But it is expensive. Composite: Carbon is used to reduce the weight of the head making it more forgiving. Composite is also cheaper than titanium. The primary reason for using fairway woods is to gain more distance; in that aspect, a longer shaft is the most useful part of a club. But just length is not the deciding factor; the flex of the shaft is the key to the success of the shaft. Flex is the ability of the shaft to bend when you swing. Inappropriate flex will affect the distance and leads to hooks and slices instead of clean shots. There are five types of flex: extra stiff, stiff, regular, senior and ladies. Men normally use the stiff flex. How much loft you require depends on the speed of your swing. Normally ladies and seniors require higher lofts because they will give better launch and greater trajectory carrying the ball the farthest. The clubs with the lowest number have the least loft. It is the part that connects the club head to the shaft. It is advisable to have an adjustable hosel because it will allow you to customize your club to suit your individual height, arm length and swing style. It basically allows you to change the lie angle which will determine how efficient your swing will be.